A year before my amazing husband and I starting dating, I was battling through a “dark night of the soul.” Unhealed pain from childhood traumas that I thought I had worked through in counselling during my teens had resurfaced, and I was forced to face the painful fact that at my core, I was still lacking true self love. This was a very unpleasant and unwelcome realization at the time, but one that also transformed my life – and in particular, my love life – in miraculous ways. A childhood wounded by every form of abuse had scarred me with a deep lack of inner value, worth and trust. And although counselling had helped tremendously, I learned much later that painful experiences also get lodged into our energy field, cellular memory and the deepest recesses of our subconscious, and therefore require a more holistic approach for true healing. So I dedicated the next few months to learning and practicing ancient and contemporary healing techniques, and with great faith and perseverance, I was able to finally release the untruths about myself that had anchored themselves in my consciousness and energy for so long. The very happy ending to this gloomy tale is that in addition to finding my sacred self-worth and value, I also manifested my soulmate relationship. The interesting thing is this: I had known my husband for years as he was part of a group of friends, he had shown interest in me for months, but it wasn’t until I was able to learn to love myself and feel love emanating from me, to me and through me that we came together. Since I have become a professional healing practitioner, I see this pattern in my practice all the time: wonderful, beautiful, successful, smart, strong women still struggling to find “the one,” and yet they haven’t learned to fully love, honour and appreciate themselves and step into the infinite source of love within and around them. 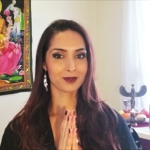 Ahem prema is a Sanskrit mantra meaning, “I am Divine Love.” Before you try to manifest romantic love, you must remember your own divinity, your true origin and identity, as a being that comes from pure love. No matter what negative messages you received and internalized in your childhood or throughout your life about your worth or value, none of these lies reflect your true self. From a spiritual perspective, even your parents are just your earth parents, chosen by your soul to learn certain lessons in its own evolution. By forgiving your parents where they fell short in loving you unconditionally and by remembering that you are eternally loved and cherished by the Divine, you take back your power and identity as a child of the all loving Spirit. A very practical way of healing and recovering your sacred self-worth is by chanting the Ahem Prema mantra or repeating “I am Divine Love” 108 times every day for 40 days. 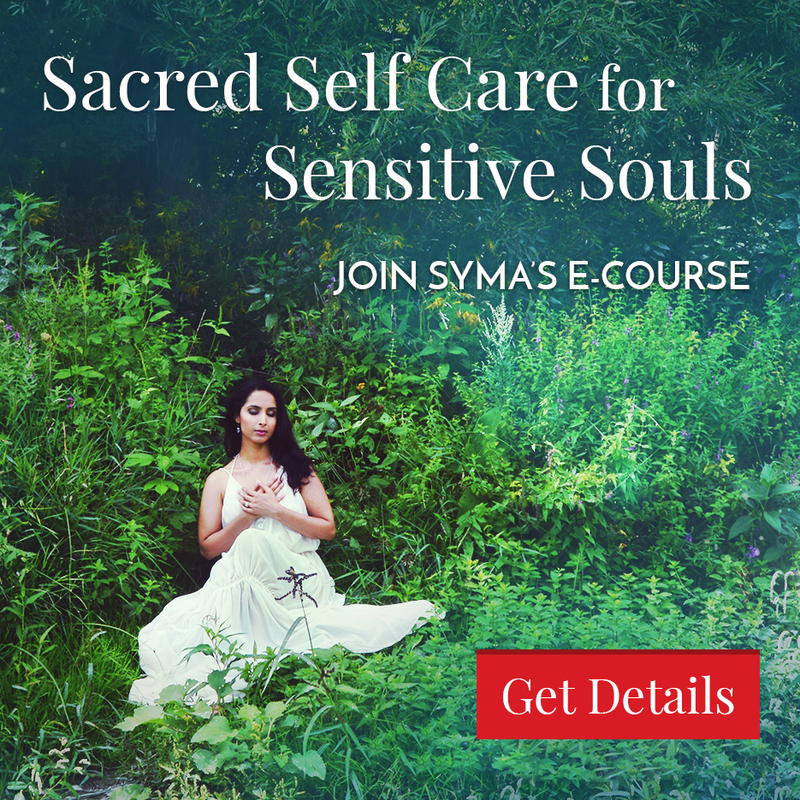 This is a powerful spiritual practice that can create transformative shifts in your consciousness, energy and experience. And since actions speak louder than words, start taking small steps to demonstrate your return to self-love by treating yourself with excellent care and respect: honour your body through play, healthy eating, joyful movement, rest, say no to drains on your time and energy, buy yourself flowers every week, pamper yourself with a spa treat, journal, meditate, take breathing breaks at work, spend time in nature, pursue your passions, smile more and be very compassionate and gentle with yourself in all ways. As you remember and reclaim your true identity as a being of love, worthy of every happiness, your outer world will start reflecting this back to you with relationships and situations that honour and support you. 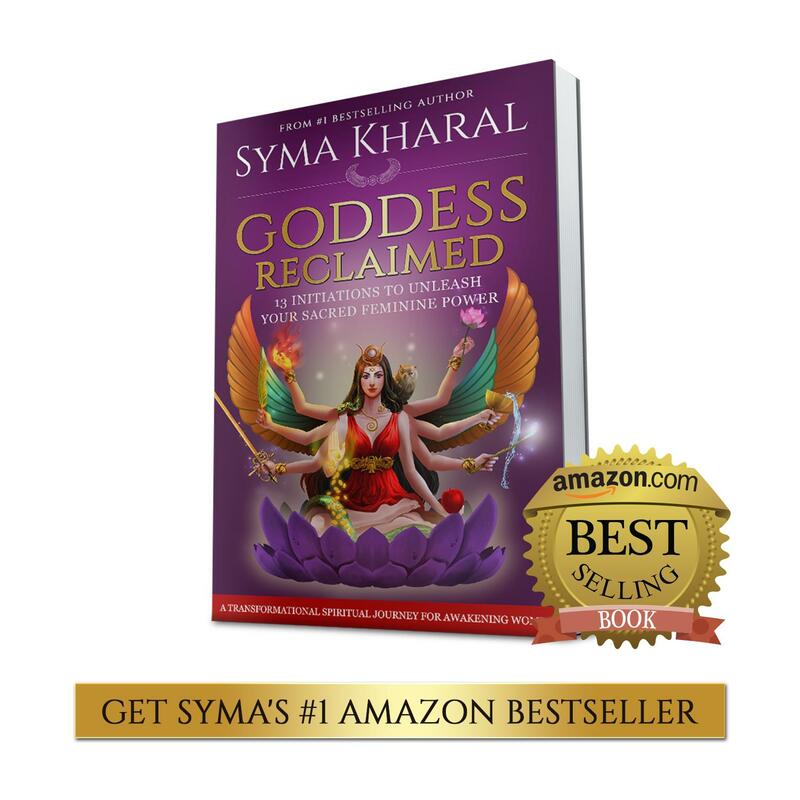 The bliss of self-love is the first step in attracting a heavenly romantic relationship. 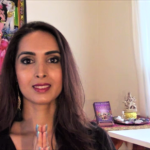 Self-help guru Dr. Wayne Dyer often says, “There are no justified resentments.” When your heart carries toxic emotions, the space isn’t there for it to overflow with love, and ultimately you are the one who suffers. So in addition to forgiving parents and authority figures from your childhood, it is essential to forgive anyone you are still harbouring resentment or anger towards, especially any past romantic partners. As you release the strong negative emotions you feel towards them and replace them with forgiveness, compassion and grace, you actually free yourself of the burden of carrying those heavy and happiness-sucking emotions. Energetically, your heart starts radiating a beautiful, light filled vibration that attracts loving, harmonious and honouring relationships to you. It’s a win-win for everyone! Once you have mastered the art of self-love and freed your heart through forgiveness, you are now ready to attract the wonderful partner you deserve. The reason you want to do the first two steps is that the likelihood of attracting a soulmate – one who will reflect your own divinity back to you – becomes a much stronger match for you when you yourself are in touch with your sacredness and inner source of love. In this state, you can actually start connecting with your soulmate on a spiritual level, where the rules of time and space don’t apply, and start sending them love. You can do this by getting into a deeply relaxed state in nature or someplace quiet, and then set an intention to connect with the spirit of your beloved. Once you get a sense of their energy, you can start talking to them spiritually or just send them affectionate energy. Just make sure you aren’t coming from a place of attachment or need, but pure love and joy. By connecting with your divine right partner in spirit, you start magnetizing their physical presence into your life and prepare to meet them in divine timing, which is the next and final step in the manifestation process. Connecting with your sacred romantic partner in spirit can be very exciting, but it is just as important to remember to let go of any attachment to when you will meet, what they will look like, how it will happen, and all other ideas you have about coming together. When you come from a place of lack or attachment, you actually send out an energy that repels rather than attracts what you desire, and this is true for anything you intend to manifest. So set a limit on the time you spend connecting with your beloved in meditation, perhaps make a vision board, wish box or ideal partner list if it excites and inspires you, but most of all, let go of your expectations and spend the rest of your time living in trust and surrender. Trust that in truth all the love you seek is already within you, and that your soulmate is just one form of love that will come into your life in synchronistic and perfect timing. In the meantime, your task is to bask in the glow of love in every way that brings your heart joy and uplifts those around you. Following these steps helped me manifest my incredible, wonderful (and super handsome!) soulmate and now husband Eric – who to me is the partner beyond anything I could have hoped, wished or prayed for. And I know for certain that it was only once I connected with my own truth, my sacred, infinitely loved, worthy and valuable self, that we were able to come together. I have full faith that you too can find your way back to your true self, fill your heart with love and compassion, live with love and trust each day, and unite your beloved in perfect divine timing.